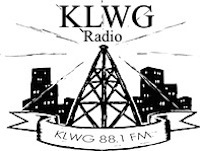 KLWG Live Stream Christian Radio. A ministry of Calvary Chapel Lompoc. Thank you for visiting our website. Our desire at KLWG Radio is to proclaim the WORD of GOD verse by verse, chapter by chapter, book by book from Genesis to Revelation. In teaching the full council of GOD’s WORD, we believe that HIS people will grow in faith and will be equipped to do the work of the ministry. It is also our desire that non-believers hear the gospel and experience salvation in Christ.